Salam Ramadhan to all my Muslim friends and readers! May Allah bless all our devotion and efforts with barakah through out this holy month, and inspires each and every one of us to be more & do more beyond this month and next.. Insyaallah. Its quite lengthy I know, but I hope you take the time to read through and share.. It’s really worth your time, it proves so for me really, as this afternoon passed as a peaceful & solitary one at home while the hubby is (oddly and rare on a Sunday) at work.. I have heard the fast of Ramadan ridiculed among non-Muslims, as if it had no meaning and no reason compared with the Christian fast of Lent, for example. Why do the Muslims abstain absolutely from all kinds of food from daybreak to dusk of every day throughout the month, yet eat and drink and smoke from dusk till daybreak ? What is the sense of it ? Would it not be better, since the aim of fasting is to mortify the flesh, to eat a little in the day, than to make this violent contrast between day and night, this turning of night into day, and day into night? People who talk like that have not the least idea of the nature of Islamic fasting, or of anything else that is Islamic, I should say. Our object in fasting is not to “mortify the flesh” – “to make the flesh dead,” for that is the meaning of mortify – the very idea seems to us wicked, that the flesh and spirit are so united in this world that you cannot mortify, starve or impoverish the one without the other. Do you suppose that the idea of acquiring merit by mortifying the flesh – which was the idea of fasting which prevailed in pre-Islamic days among the darkened, priest-ridden religions – do you suppose that such an idea ever enters the head of the athlete, the strong man, when he undergoes his course of training to make him stronger, more enduring than he was before? Do you suppose the idea of mortifying the flesh ever enters the head of the soldier eager for some cause, when he submits to undergo a course of training? No more does it ever enter the head of the Muslim who takes no food from daybreak until dusk in Ramadan. As I have said many times, but one must keep repeating it, the rites and ordinances of Islam are never fetishistic, sacramental or in any way superstitious. They are disciplinary and practical. They would be altogether meaningless without the thought of Allah. It is Allah’s command, that is why we keep the month of Ramadan in a manner so astonishing to the followers of other faiths. Enthusiastic obedience is the keynote of the Muslim life, obedience to a command of Allah, the more enthusiastic in that it involves some trial of each individual’s strength and resolution. There you go, say critics of Islam; you say that your religion is not superstitious, yet you think that Allah speaks in the Quran, and that you are pleasing Allah when you fast in Ramadan. We do believe that Allah speaks in the Quran, but we do not believe that we are pleasing Him by fasting in this month. We are obeying a law which He has made for man’s welfare. We are benefiting ourselves and we should be pleasing ourselves. The whole of the institutions of Islam are designed for one purpose, to produce in the first place righteous men and women, and in the second place to bind them together in a brotherhood as compact and well-disciplined as an army which may have at any moment to be mobilised. The petty kings of this world have their armies; the petty states of this world have their police and priesthood. We are the army of the living King who sleepeth not nor dieth, the Universal King to whom all men return, whose judgment all men living have to face. It is well that there should be in the world a great community acknowledging a higher law than that of economic pressure, devoted to a service quite disinterested, supporting everywhere the cause of that justice of Allah, the King of all mankind, whose providence is over all alike, without distinction of wealth or poverty race or creed or colour. In the kingdom of Allah, which is Islam, there is no priesthood. Every Muslim is a priest, every Muslimah a priestess, although in our enthusiasm for our King, we call ourselves not priests, but servants. Bond-servants, like the slaves of Eastern monarchs, who have free access to the King, and live by His countenance. In the Kingdom of Allah there is no need of a police, for all are fervent in obedience to the law, which is clearly known; the higher law for all mankind, the only law which can make human progress real. It was revealed in this Quran by the mouth of an illiterate Prophet, thirteen hundred years ago. It was first revealed in this month of Ramadan. That is why the month of Ramadan is set apart to Allah’s praise; for it is not only a month of fasting. The daytime is for fasting, and the night-time is devoted to thanksgiving. It is fitting that our month of training should be, for us – the army of the kingdom of Allah on earth – a month of remembrance of Allah’s mercies to us in the past. We have to be prepared to give up worldly comforts at a moment’s notice, for the sake of the principles which we are here to defend and to make known. Is it not reasonable therefore to accustom ourselves to do without them, so that we may not be useless servants when we are obliged to dispense with them. We ought to give them up joyfully, if we remember Allah’s mercy to us in the past, the miracle of this Quran and of the triumph of the early Muslims, who gave up all that they possessed in Allah’s service. Have we not reason to give thanks? It is true. Before Muhammad came there was no religion in the world which was not quite apart from daily life, which did not regard daily life as hostile to religion. The light to which Allah leads believers is the light of every day. His miracles are the everlasting miracles of day and night, the life and death of men and beasts and birds and.insects and trees and plants, the earth with all its pageantry of land and sea, the wonder of the heavens. If these, as they have been expounded in the Quran, are not held to be sufficient witness to His Kingship, if men seek for mysteries and miracles outside the natural law, which is the law of Allah, then men go astray. They turn their backs upon the light and go to darkness. Let us give thanks to Him who sent His final messenger Muhammad as an ordinary man who ate food and walked in the streets, divested of all colour of the supernatural, to bring religion back to its true sphere, which is the natural order and the daily life of men and nations. The word “belief” in the Quran always means “belief with practice.” The true believer is the righteous man, no other. The evil-doer, no matter what his creed, is counted as an unbeliever, one of those who reject. And only those who do good works in service of their fellowmen are counted among Allah’s faithful servants. There is no discipline like self-discipline. And if we are true servants of Allah we shall be happy to obey His order. He bids us fast in Ramadan, for our own good. The fast has no value in itself, its value lies in its effect upon ourselves as discipline, a voluntary act of obedience to a law superior to that of men. And its value to our souls is in proportion to its hardship. Allah desires ease for you. He does not desire hardship for you. The hardship is to train you for the higher life, to help you to guard against evil, to bring ease to you hereafter. Righteousness: that is the goal. Brethren, the mercy of Allah is ever near to us as individuals and as a community, but if we wish that He should hear our cry in this our hour of need, we must obey His will. If we do that completely, then we are past fear and grief. We have the consciousness of His protecting friendship, and we have success. No Muslim could give utterance to a selfish prayer. Our prayer is praise of the Lord of the heavens, of the earth, it is the sacrifice of our will and our purpose, to His will and His transcendent purpose in this world. This is the month of Ramadan, in which that holy will, that holy purpose were revealed. Let us observe it with enthusiasm to the utmost of our power. Brethren, the month of Ramadan is, as you know, our month of fasting. It is the duty of every Muslim to abstain from food and drink of every kind, between daybreak and dusk of each day, unless he or she is sick, or on a journey, or a mother nursing a young baby, or a soldier on Jihad – unless, that is to say, it would be manifestly injurious to his or her health, or would hinder him or her from work of high importance to the cause of God. But the Quran, after allowing these exceptions, says: “But to fast is better for you, if you did but know.” I know that we are living in a country where it is very difficult for a man or woman who does not live a very quiet and secluded life, or who has not Muslim servants and a Muslim home, strictly to keep Ramadan. If we compare our difficulty with the ease with which the fast is kept in Muslim lands, where everyone is keeping it, and everything is arranged for it, where the nights are festivals of hospitality and the congregations in the crowded mosques support men’s zeal and courage, it is not unfair to say that we are all of us in the position of travellers in a far country. But as the difficulties are not merely momentary, but last so long as we are in a Christian land, we should find it just as hard to substitute a number of other days for those of Ramadan, as the Quran commands the traveller to do. It behoves us, therefore, to observe the fast in Ramadan to the utmost of our power. The fast of Ramadan, like all the rites and ceremonies of Islam, is disciplinary, not superstitious. It is absolutely meaningless without the thought which comes from our obedience, the thought of Allah. When we go on pilgrimage, we are pilgrims, not to some great temple full of gorgeous images, whose atmosphere is heavy with the smoke of incense, where priests absolve men from their sins to sensuous music. Our Lord has made us pilgrims to a shrine of most austere severity. Allah has made us pilgrims to an empty house. Islam, as compared with others, may be called a hard religion. There are no arm-chairs in it, nor crushed pews; nor soothing music. There is nobody to do it for you; you must do it all yourself. Its rules are hard and fast, and there is no evading them. Its rites and ceremonies, few and simple, would not attract the kind of person, very common in our day, who seeks religion only to be put to rest, to give up thinking. Ours is a religion, not of slumber, but of energy. All its ordinances are stimulating, fortifying, rousing, never soporific. And chief among its fortifying ordinances is the fast of Ramadan. An athlete, when he has to wrestle or to run a race; a soldier, when he has to go out and fight in hard conditions, fortifies himself beforehand by a course of training. And we, who have a greater match, a greater fight, before us always – shall we not do our training when our Lord commands? What has been the cause of our failur? Lack of zeal for righteousness. The whole purpose of Islam, and all its rites and observances, is nothing but the training to perfection of energetic, righteous men and women. Not those who dream of angels in an easy-chair, not those who wish well to everybody without doing anything, but those who actually do good works, with zeal and earnest purpose, in their sphere of influence, and who guard themselves against things evil. And I am particularly anxious that we, the little band of British Muslims should make a true observance of this fast. 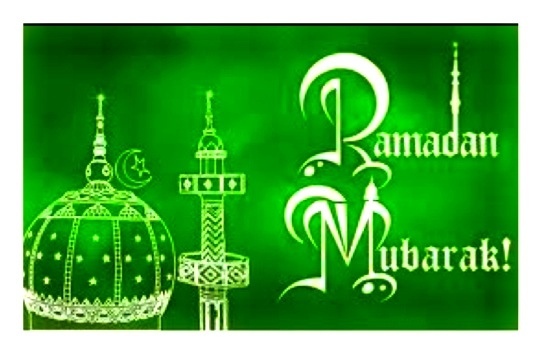 We English Muslims have a special need – I might almost call it a responsibility – to keep this Ramadan, for our country, for the last ten years, has dealt unjustly with Islam, owing to false direction leading to ignorance. But there are signs already of a change of feeling. Pray God that it may not come too late. I consider it my duty to give you notice of the fast and exhort you to it thus a month beforehand, that you may make your preparations. Of the spiritual benefits we may derive from it I hope to speak to you in Ramadan itself. I wish this house could be kept open the whole month for any Muslim, any Muslimah, to come and pray here, at any hour of the day or night; but I fear that that is quite beyond the means at our disposal, and I myself live a long way from London, so am not much use. But do remember to say your prayers at the appointed hours, or as near to them as possible, in your own homes. Try to make it a real striving after righteousness, a month of resolution and prayer, to fortify your souls, not for the remainder of the year only, but for the remainder of your natural lives. Is it a hardship to give up this food, this blessing from Allah? If we did not sometimes give it up voluntarily, some of us who spend our lives in comfort would regard it as our natural right and not a gift at all. Allah has given us so many things which we regard as natural right; we have a natural right to live and we have a natural right to die. Ah, but that we do not count a blessing. Pray, why not? It is part of that which Allah has prescribed, the natural order which is His command. We all experience a natural shrinking from the thought of death itself. Try to live so that the result of death shall have no terrors for us, because, having obeyed our Lord’s commands, we have the consciousness of His protecting friendship, leading us to a clearer light than we have ever known. 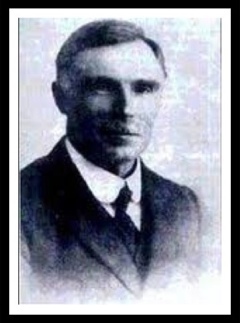 Marmaduke Pickthall (1875-1936), scholar and novelist, is best remembered as a translator of the Quran. This article was first published in Islamic Review and Muslim India, Vol. 8, December 1920.